Tony(a) Lemos is the director of Blazing Star Herbal School. 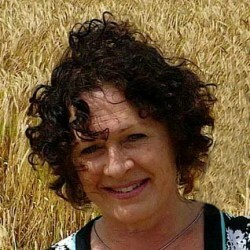 She studied Natural Therapy at Raworth College of Natural Therapies in England (where she spent most her childhood) and has apprenticed in the wise woman tradition of healing with Susun Weed, as well as with several other prominent teachers in North America. 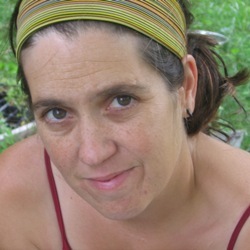 As well as teaching at Blazing Star Herbal School and beyond, she maintains an herbal practice specializing in herbal pediatrics. Jessamina is the Facilitator of The Goddess Experience and Workout; an energizing wellness program that help women to connect deeply with their bodies, natural cycles, divine wisdom, creative power and intuition. 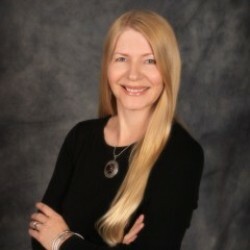 Listen in as Melissa Potter talks with Susun about the importance of such things as speaking one's own truth, using intuition, being courageous in the face of fear and setting boundaries. Melissa discusses the need to redefine what power means in our society and how women can find true power by following that which makes them happy. 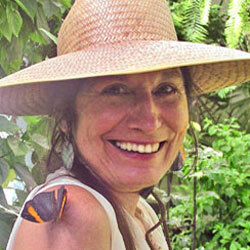 Thea Summer Deer is a clinical herbalist, educator, writer, and musician. She began practicing midwifery in 1978 and was a founding mother of the South Florida School of Midwifery. Mother, grandmother, avid cook and gardener, Thea is also an award winning songwriter performing in the acoustic duo, Thea & The GreenMan. 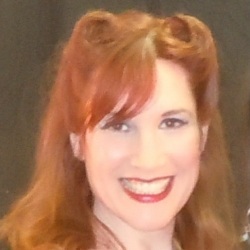 Jana Beeman ("Amira") is a national bellydance and yoga workshop instructor, Director/ Choreographer of the Essence of Egypt Dance Company and produces a line of instructional DVD’s for learning bellydance and yoga at home. 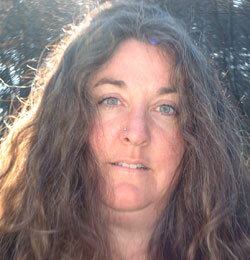 White Feather is a holistic nurse, certified Wolf Clan teacher, herbalist and Buddhist practitioner. 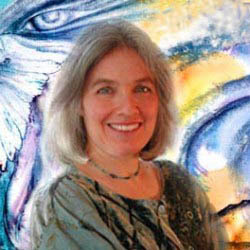 She is the founder of Catskill Mountain Herbals and author of the Seven Directions Movement Meditation book. She works in the Wise Woman Tradition and shares the Wisdom Wheel Teachings of the Wolf Clan as requested by Grandmother Twylah Nitsch (Yehwehnode - Two Wolves). Schall Adams is an author, speaker, powerhouse singer and talk radio host. She shares her journey and some things she’s learned along the way about living a life of passion, purpose and authenticity. She is the co-founder of Thrive Teachers, co-host of Thrive Teacher Radio show, and says Thrive Teachers has been an exciting and rewarding process that has created a platform for her to teach everything she has learned and bring together other like-minded heart-centered teachers. DeAnna L'Am is the author of Becoming Peers – Mentoring Girls Into Womanhood, helps women & girls love themselves unconditionally! 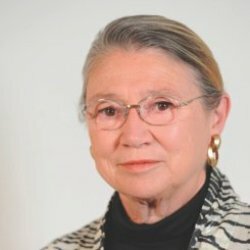 Her pioneering work has been transforming women's & girls' lives around the world for over 20 years. DeAnna helps women move from self-judgment to self-nurturance; Dissolve PMS symptoms; draw strength from their cycle (rather than be at its mercy); and Model self-acceptance, self-care, and self-esteem to the girls in their lives. Sonia Meyer fled the Nazis with her parents when she was two years old to live in the woods of Germany and Poland with partisans and Gypsies. There, her father taught her to throw hand grenades using a wooden darning egg. They lived in the woods, in abandoned houses, in isolated excursion inns, in fields and barns, always dodging the German and, later, Soviet armies who hunted them relentlessly. 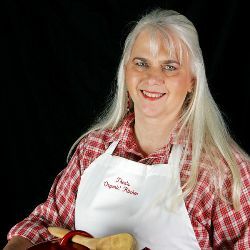 Patty Greer had been known for her musical prowess as an accomplished singer, songwriter, In a crop circlepianist & harpist. 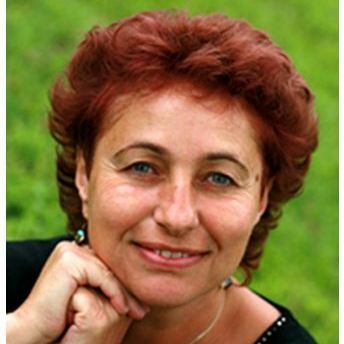 In 2006 she hurt her hands and was forced to change her life dramatically. She embarked on a new journey that transformed her musical perceptions into those of the visual world of cinematography, and her original music fit perfectly for the soundtracks. Deborah Kauff discovered Touch Drawing in a moment of creative exploration. When touching a paper towel that had been placed on a freshly inked printing plate, she found that the pressure formed marks on the underside. Lines coming directly from her fingertips! She laughed hysterically with this discovery. In a state of ecstatic revelation, spontaneous images poured through her hands.